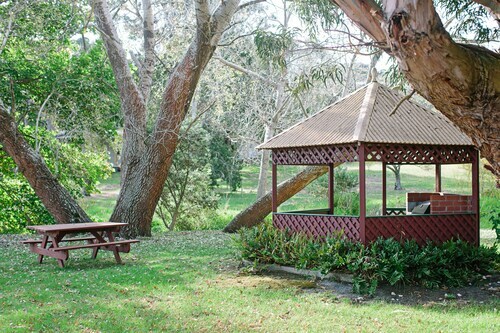 Located in the heart of Centennial Park, this motel is within 2 mi (3 km) of Mount Melville Lookout, Old Gaol Museum, and Albany Convict Gaol Museum. Brig Amity Replica and Albany Visitor Centre are also within 2 mi (3 km). 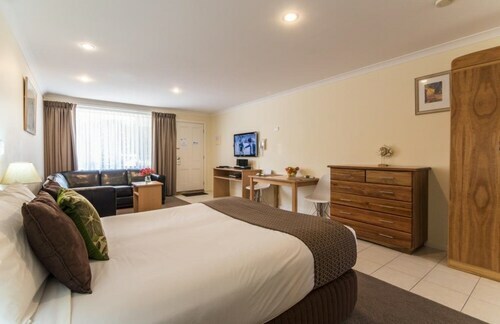 Situated near the airport, this motel is 1.1 mi (1.8 km) from Mount Melville Lookout and 2.9 mi (4.7 km) from Middleton Beach. Old Gaol Museum and Albany Convict Gaol Museum are also within 2 mi (3 km). 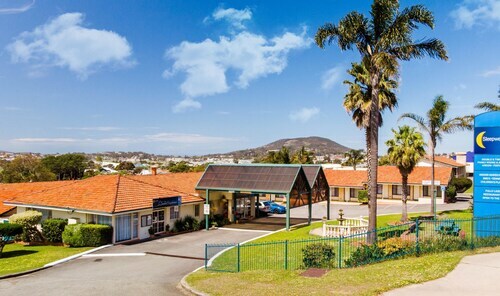 Located in the heart of Centennial Park, this motel is within 3 mi (5 km) of Mount Melville Lookout, Old Gaol Museum, and Albany Convict Gaol Museum. Brig Amity Replica and Albany Visitor Centre are also within 3 mi (5 km). Located in the heart of Mount Melville, this motel is 0.9 mi (1.4 km) from Mount Melville Lookout and 2.7 mi (4.4 km) from Middleton Beach. Old Gaol Museum and Albany Convict Gaol Museum are also within 1 mi (2 km). Situated by the ocean, this motel is within 1 mi (2 km) of Emu Beach and Middleton Beach. Emu Point Beach is 0.5 mi (0.8 km) away. 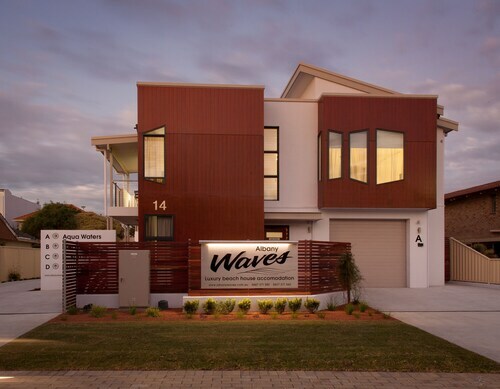 Situated by the sea, this luxury guesthouse is within 2 mi (3 km) of Middleton Beach, Emu Point Beach, and Emu Beach. Lake Seppings and Old Farm on Strawberry Hill are also within 3 mi (5 km). Offering direct access to the beach, this Middleton Beach vacation home is within 1 mi (2 km) of Old Farm on Strawberry Hill and Middleton Beach. Mount Clarence Parklands and Lake Seppings are also within 1 mi (2 km). 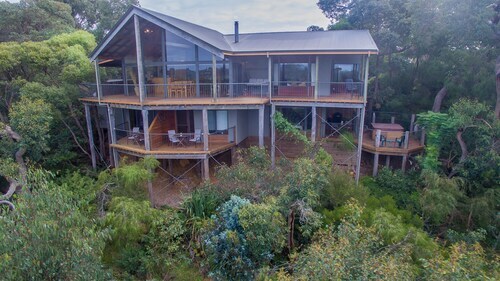 Situated by the ocean, this luxury bed & breakfast is 2.8 mi (4.6 km) from Emu Point Beach and 3 mi (4.8 km) from Middleton Beach. Emu Beach and Lake Seppings are also within 3 mi (5 km). 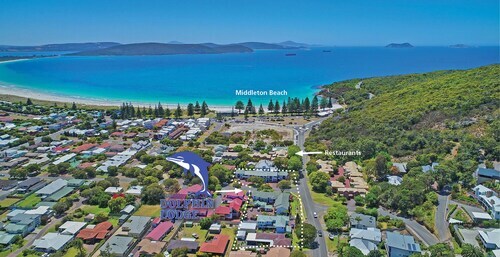 Situated near the airport, this luxury apartment building is 0.3 mi (0.5 km) from Middleton Beach and within 3 mi (5 km) of National Anzac Centre and Albany Visitor Centre. Albany Entertainment Centre and Emu Point Beach are also within 3 mi (5 km). Want to see the sights? Planning a business trip? Or perhaps you're looking for that perfect romantic getaway. For your next escape, get the hotel you want at a price that’ll put a smile on your face. 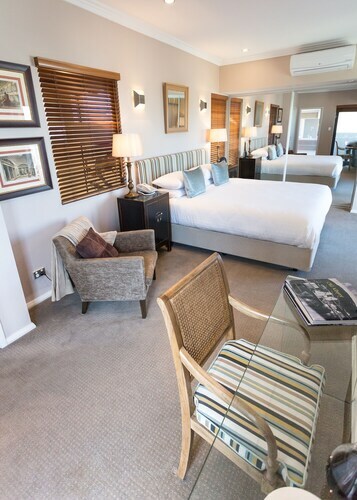 From city centre conference hotels to charming hideaways, we have you covered. 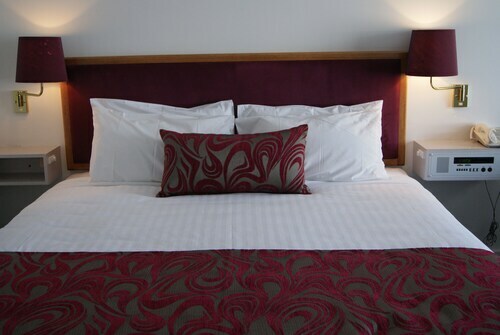 Book accommodation in Albany with us today and get ready to sleep in, eat out and enjoy a holiday your way. Not sure what you're looking for? Let us help! When you search Albany accommodation, you can filter by budget, star rating or even specific facilities. Hit the clubs, browse the shops or make friends with the locals—there are a number of hotels just a stone's throw from the action. Or do less running around and more indulging when you book a relaxing and revitalising retreat. Maybe a spa treatment is in your future! In the mood for food? Many of our listed hotels feature great bars, cafes and restaurants for laid-back brunching and suppertime feasting. Some also offer a gym or nearby outdoor activities to help burn off those extra calories. Save time and money by using Wotif to book cheap Albany accommodation. With millions of rooms available, you’ll find exactly the right place to put your feet up. From bargain motels to rooms fit for blue-blooded luxury, child-friendly to pet-friendly (and definitely wallet-friendly), we make booking a hotel reservation simple. How Much is a Hotel Room in Albany? Hotels in Albany start at AU$90 per night. Prices and availability subject to change. Additional terms may apply. A very quaint and charming cottage situated in a great location, very close to the centre of town.